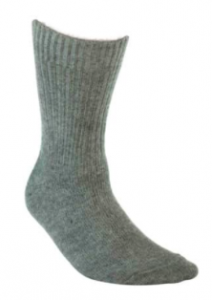 One of the most popular products made from alpaca fiber are socks. They come in many colors, styles and weights. Alpaca socks sale is a good income for the farms. Very fine alpaca fiber is used mainly for scarves and hats because of their contact with our skin. Higher diameter fiber is usually stronger and can be used for socks where durability is required. Robust fiber and batts and used for pillows and duvet. Grading is first done after sheering by the experience breeder. The final grading is done by the mill where the yarn and other products are made. Breeders on Vancouver Island use a mill in Alberta or in the States. Exotic Fibers is the most important mill in Canada. They offer drop and shop program where breeders send in fiber and get credit to buy products. Breeders will have products made from their own fiber when they send in a minimum weight of fiber sorted in color or mixed. There are also smaller mills who can process much smaller fiber batches. You have a better chance of getting back products from your animals’ fiber when dealing with them. Alpaca fiber is seven times warmer than sheep wool and three times stronger however socks are never made of 100% alpaca because this fiber does not have enough tenacity strength. It can be blended with the following material. Tencel, a product of the eucalyptus trees.It brings high tenacity strength and shine. Merino Wool. It is the finest sheep wool. It adds elasticity, durability and memory to the yarn. Bamboo is extracted from bamboo culms. It brings elasticity, moisture absorption and high sheen. Nylon is light weight and lustrous. It brings high strength. Experienced breeders will either supply the blending material or buy it from the mill. Alpacas are dominantly white and staining the fiber is very popular. However, socks are often natural colors like black, off white, grey and all kinds of brown shades. Socks for women are available in long, medium length and short. Sports and terry socks (short and medium) are thicker than the fashion (long) style. Socks for men can also be long, medium length and short. Terry socks are the most popular. Long terry style for motorcyclists and skiers are made from special orders. Short sports socks and fashion socks are also available. Most of the large alpaca farms sell alpaca socks and other products. On Vancouver Island, you can buy socks in Duncan at Pacific Sun Alpacas, in Cobble Hill at Alpaca Farm BC and in Courtenay at Morrison Creek Alpacas. Of course, there are other large farms on the Island but these are the ones I get my products from. 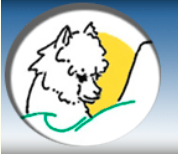 Pacific Sun Alpacas and Morrison Creek Alpacas participate in different fiber shows on the Island. 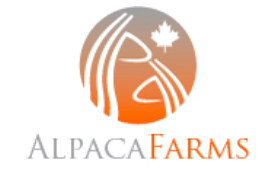 Alpaca Farm BC sell their products at the Duncan farmers market. Alpaca socks are very soft and comfortable. They are available in many styles and colors. Alpaca socks sale is a good income for the farmers. Try a pair and you will love them. Call an alpaca breeder near you today. Alpaca is so warm and cozy. One year, my husband and I bought these gorgeous soft alpaca scarves for everyone for the holiday. You’ve given me a great idea to do several pairs of quality alpaca socks as a good “everyone” gift this year. I like that this is a product that helps support farmers. You talk from experience. You will also love the socks. These sound like comfortable socks for sure! Is there a well known brand name that sells these socks? Or are they more of a small business product? Brands are usually from South America. You might want to do a google search for alpaca farms in your area. The quality is much better than the South America imports. I have a bit of a sock ‘thing’, my feet need to be warm and snuggly. I don’t have any alpaca in my collection though, I’m definitely going to try these out. Thanks for the tip! Larger alpaca farms are pretty easy to find and when they do not sell socks they will know where they are sold. Contact one of those farms. You will love those socks.